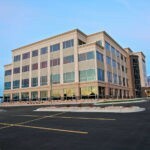 Two of the most populous areas in Utah, Salt Lake County and Utah County, are divided by a ridge known as “Point of the Mountain.” The Pointe Office Park in Draper, Utah, is set between that ridge and the area’s transportation artery, Interstate 15, making it an ideal location for Class A office space in a growing region. 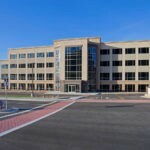 Big-D recently completed Building 6, a four-story core-and-shell office building, part of what will be an eight-building office park when it is completed. 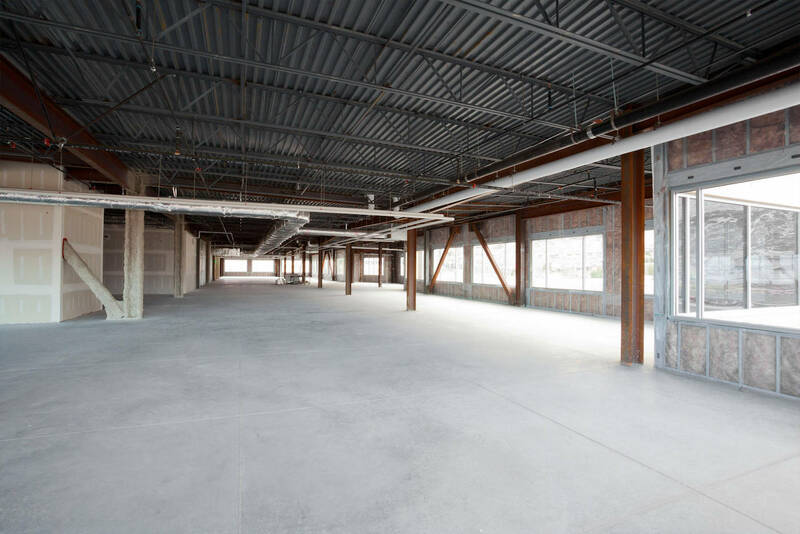 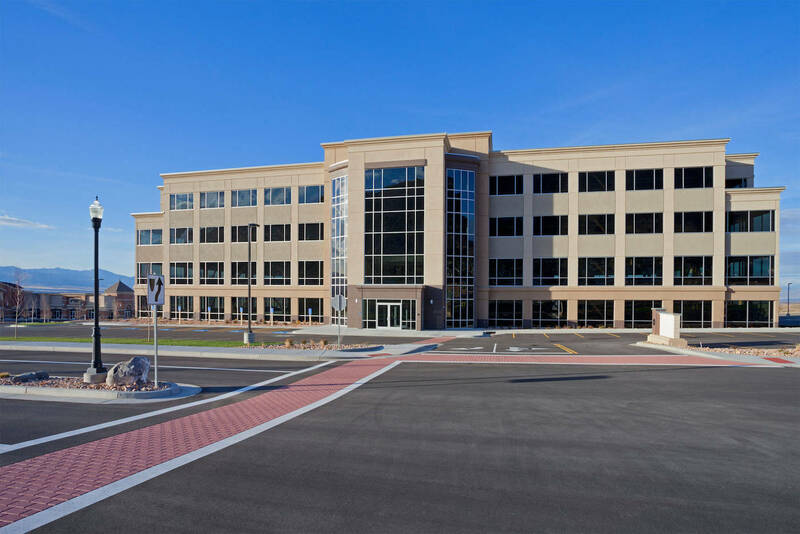 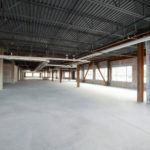 The 124,709-square-foot building consists of a concrete and steel structure with glass and exterior insulation and finish system (EIFS) exterior skin. 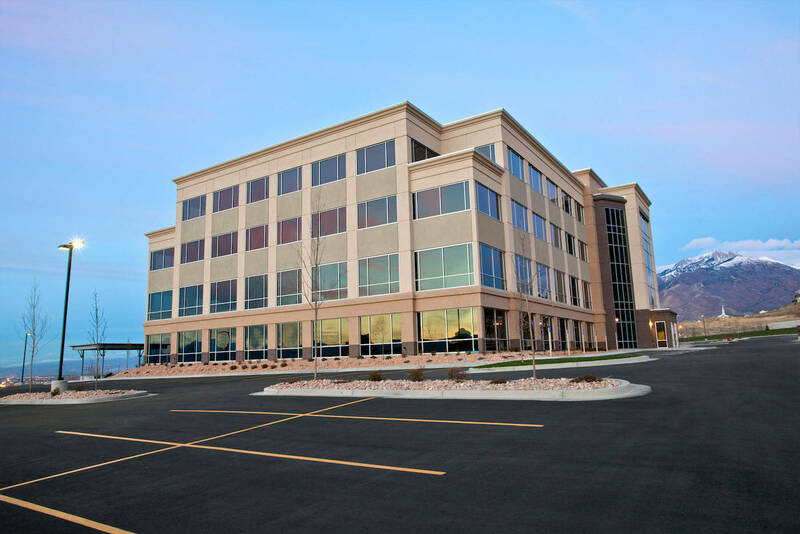 This contemporary finish to the building provides insulation and weather protection to the occupants, cutting down heating and cooling costs. 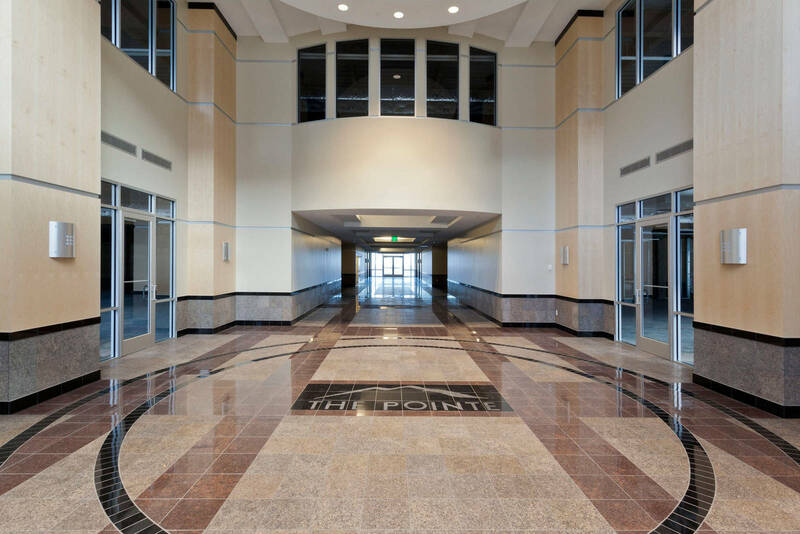 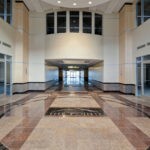 Interior lobbies feature high-quality finishes including wood paneling, stone flooring, and stone wainscot, creating an elegant Class A environment.